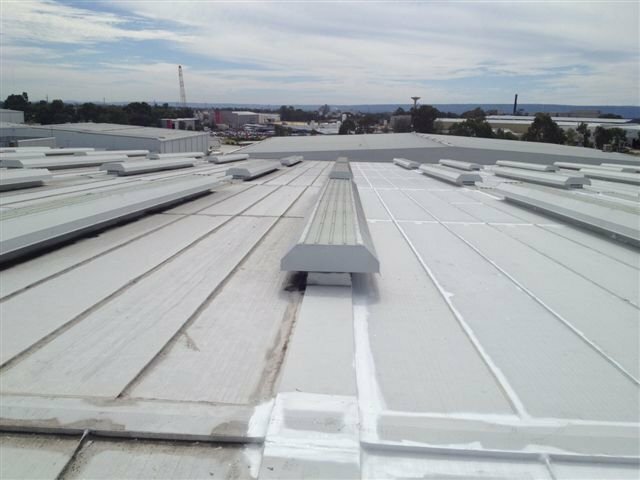 Global’s range of products can also be used to waterproof warehouse and factory roofs. Our seamless membranes are applied via an airless spray pump to all surfaces ensuring a water-tight finish. NOVALAST 151 LTM is a solvent-free, acrylic membrane system designed to provide a continuous water-tight seal in situations where considerable structural movement of the substrate may be anticipated. 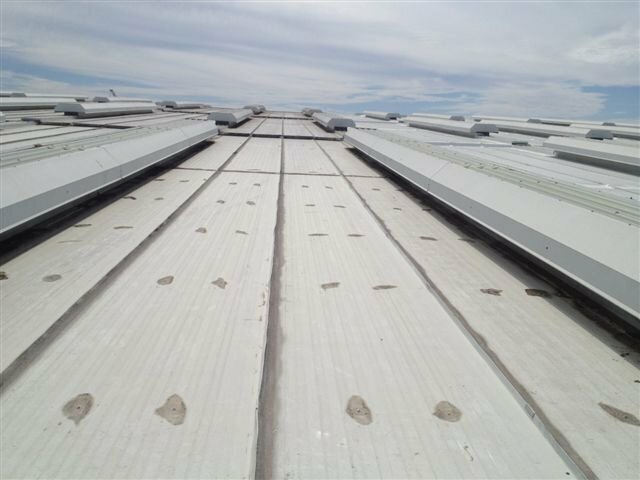 The excellent waterproofing and durability characteristics of this product make it an ideal choice for flat pitch roofing and the sealing of metal, masonry, fibro and concrete surfaces for long-life performance through a wide range of climatic and environmental conditions. NOVALAST 151 LTMhas an elongation of 350% for 2mm cured film thickness and has great insulation properties that would reduce the internal temperature by up to 40%. 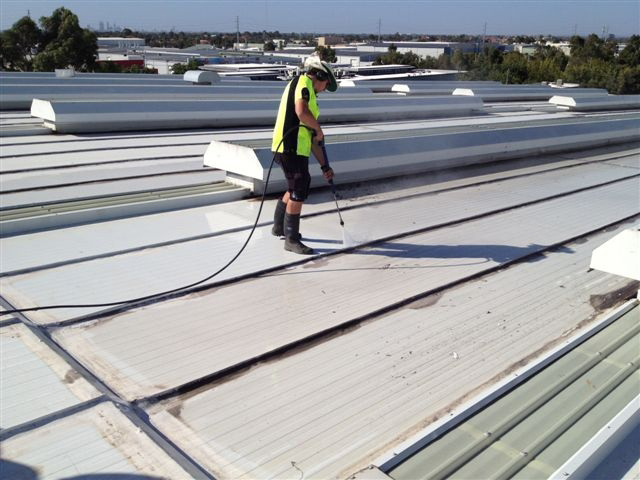 NOVALAST 151 LTM was used to seal a 52,000m2 roof in Canning Vale in Western Australia with great success. 1. Warehouse roof structure made out of refrigerated paneling. 2. 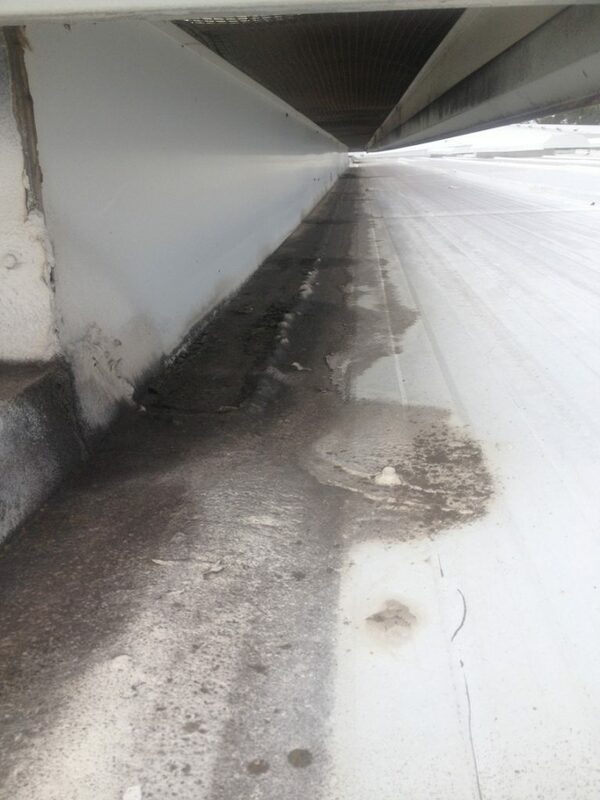 High Pressure cleaning is essential to ensure a stable, oil, grease and mold free surface ensuring maximum adhesion between the surface and the membrane. 3. Once the surface has been pressure cleaned, any delaminated existing products are removed, rewashed and sealed with Novalast 151 LTM. 4. 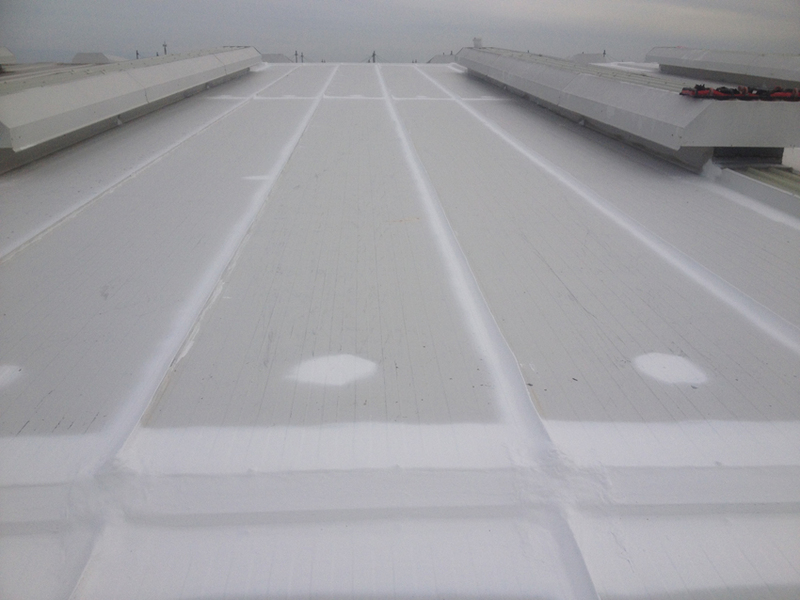 Before and after the surface was sealed with Novalast 151 LTM. 5. 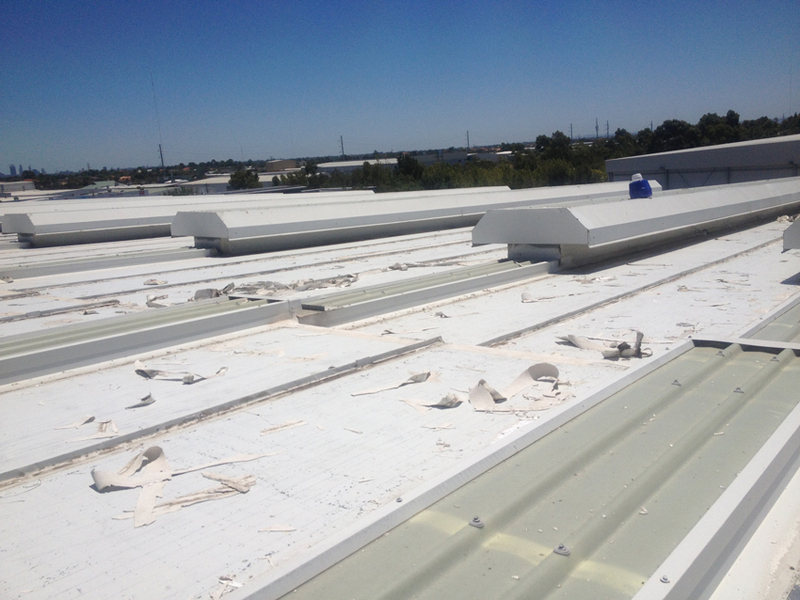 New sealed section of the roof compared to an 18-year-old section of the roof. 6. All flashing, joints and take screws sealed with Nova last 151 LTM. 7. 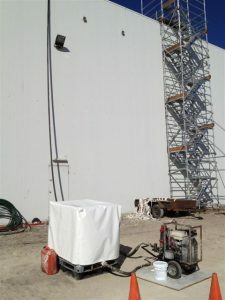 Access and spray equipment set up to pump Nova last 151 LTM up and over onto the roof. 8. 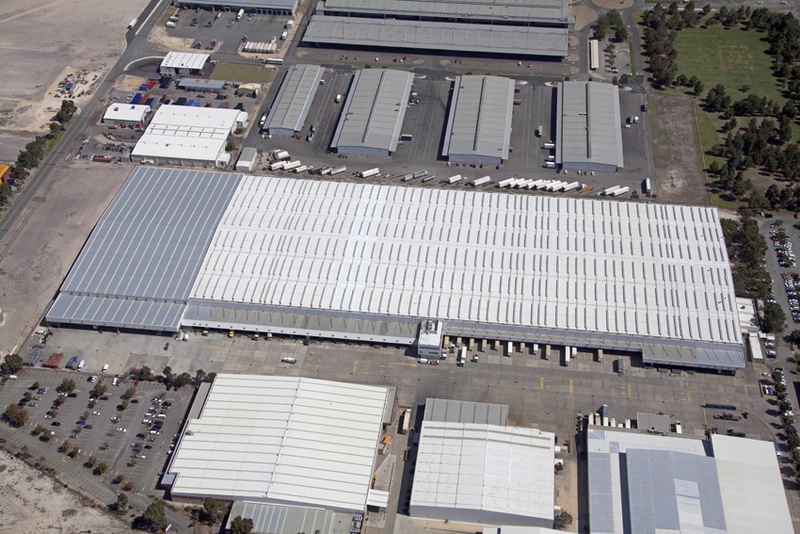 An aerial photo showing the size of the warehouse and project.